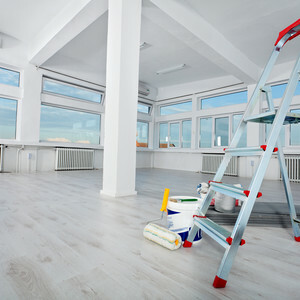 ServiceMaster Clean of Kingston, Belleville and Trenton have been providing janitorial, carpet cleaning and other commercial cleaning services to our communities since 1991. We currently serve a wide variety of commercial cleaning properties such as, professional offices, healthcare facilities, which includes physician, dental and treatment suites, eye surgery clinics, and other medical facilities. We also provide commercial cleaning services to retail stores, (grocery, convenience and other), manufacturing and industrial sites, and all levels of government offices. At ServiceMaster Clean of Kingston, Belleville and Trenton, we are proud to provide environmentally friendly cleaning services to institutional and commercial cleaning customers. Our research and development team have created state of the art equipment, products and methods to ensure you receive the highest level of performance. The size of the properties we serve varies, as does the frequency of cleaning services we provide. From small offices to 24 hour, 7 day a week multi thousand square foot facilities, we can create a janitorial housekeeping task schedule incorporating our patented Capture and Removal® system specifically for your facility.